Your website is for visitors. Forget about search engines and SEO. As we write this post, we’re feeling a little cranky. And it’s all because of the Google. Let me explain. We love and hate the Google simultaneously. We love it because of the great services it provides, the way it’s organized the wilds of the web for us, the way it’s become a verb. (Sorry, Microsoft, I “google” something, I think, even when I use Bing.) It is the closest thing we have to God on the Internet, which is why regulators (in Europe especially) are so keen on containing its influence. We love being a Google Partner company helping people with Google Adwords; we hate that Google is trying to give away web developing services. Very recent reports suggest that without telling anyone, Google has again altered the ingredients of its secret sauce that cooks up search results, this time effectively punishing content thin “how to” websites. (See Google “Phantom” Update Rolling Out Targeting Informational, ‘How-To’ Content at Search Engine Journal). The GoatCloud website is full of “how-tos” (those pages are some of our most popular content), and we’ve seen a recent uptick in traffic on those pages. We suspect that some of the traffic that once went to the punished sites is currently headed our way. Will this traffic surge last? Perhaps only until Google re-tweaks its algorithm. No one knows but the Google. What we DO suggest is that you should largely forget about the Google when developing and working on your website. (Yes, you should also ignore all the spam messages you get saying “WE GET YOU ON FIRST PAGE OF GOOGLE GARANTEDE.”) Instead, you should be focusing on your visitor and what is sometimes called “user experience” or UX. Consider: Is your visitor getting the information they need? Is the information educational or entertaining or, better, both? Is it easy to find? Is there lots of it, and in different formats? Does your site render quickly? Is it logically constructed? Visually appealing? Good on phones and tablets? Does it limit or avoid errors, or typos or bad grammar? If your site does all that, the visitors will come, and they will return. And what about the search engines then? Well understand that search engines including Google want to deliver the best content, via results, to their customers. (Google wants you to return to Google search so it can continue to deliver ads to you there, right?) If your website has excellent content and an excellent structure, and you help the search engines along just a bit to know about your site’s existence, you will, over time, start to feel the search engine love. It can be a long time and, if you’re in a competitive market, you may have to do even more online to obtain visitors. 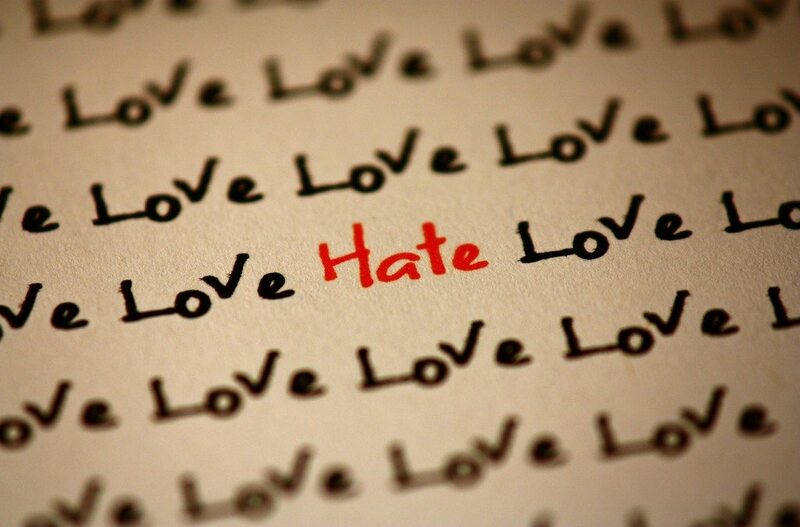 But by delivering love to your visitors through beautiful, worthwhile content, you can maybe avoid the hate. Image source: Dennis Skley on Flickr, used with Creative Commons license. Need help creating a great user experience for your website visitors?